What's the Better Buy: a Consumer or a Business Laptop? Laptop makers such as Dell, HP, and Lenovo carefully label and target their laptops for either "business users" or "home users," which implies that they've done their homework for you and selected the best models for your type of usage. But even if you'll be using the laptop in your living room rather than during board meetings, should you skip shopping in the business laptop department altogether? The answer is, well, it depends. I compared similarly configured consumer and business laptop offerings from several major laptop vendors, and found several good reasons for home users to consider business laptops--including more configuration options and better warranties. But it isn't always a cut-and-dried decision. Here's what you need to keep in mind when selecting your next laptop. Lenovo's ThinkPad T420 business laptop. The company's IdeaPad consumer laptops don't get that same extreme treatment, because regular laptop users supposedly don't torture their laptops as much. Even if you don't plan on working in severe conditions, a business laptop's more rugged design may help you get more long-lasting value out of your laptop, thanks to the use of premium materials. The HP ProBook 4530s laptop for professionals, for example, might look quite similar to the silver HP Pavilion dv6t in the consumer line, but the ProBook 4530s is constructed of "high-strength precision-formed aluminum" while the dv6 simply has a metallic finish. The ProBook's aluminum is deeply anodized to be scratch-, smudge-, and wear-resistant. The Asus U36S, a high-end consumer laptop. However, high-end materials have started to show up in premium consumer ultraportable laptops, such as the Asus U36S, which has a magnesium-aluminum alloy cover. But business laptops generally are still constructed and tested to be tougher. 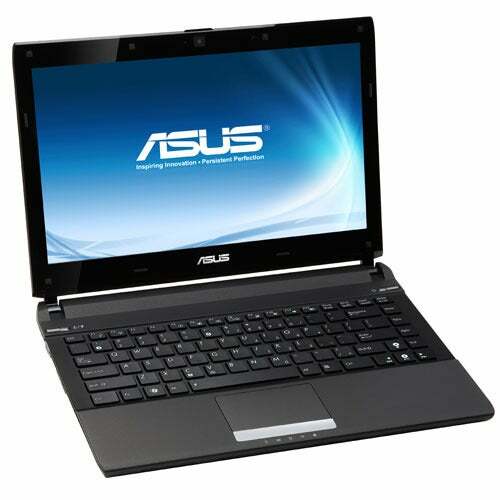 For instance, Asus reinforces its business-oriented B23E laptop with metal hinges and metal brackets to cushion the hard drive, and tests both the hinges and the panels beyond consumer standards. Here's some information on how Asus tests. And the Dell E6520 not only has a spill-resistant keyboard (a protective seal guards against everyday spills), it also comes with a 360-degree bumper around the LCD panel, and even its latch is made of a zinc alloy for durability. More build-to-order options: You'll find many preconfigured laptop models to choose from in the home/consumer site of any major laptop manufacturer, but if you want to fine-tune a laptop's specifications to a greater extent, head to the business side. For example, with the entertainment-focused Lenovo IdeaPad Y470, you can select from consumer models with Intel Core i3, i5, or i7 processors and different memory and hard-drive capacities. But your customization options for those models are limited to adding on more years to the warranty or selecting laptop accessories. Select the business-oriented Lenovo ThinkPad T420 model, on the other hand, and you can opt for a higher-resolution display, swap in a discrete graphics card, upgrade the hard drive, add a fingerprint reader, and much more--at additional cost, of course. Longer warranties and better support: If you want more protection for your laptop, business laptop warranties typically trump consumer ones. The Toshiba, Dell, and Asus business laptops I looked at, for example, came with standard three-year warranties, versus a one-year warranty on the consumer models. The ThinkPad was configurable for up to a four-year warranty, while the IdeaPad warranty only went up to three years. Each year of additional protection and support is worth between $50 and $100 dollars, and gives you more peace of mind should your laptop break down beyond a one-year period. Priority service is also sometimes available to owners of business laptops, whether or not you use it for business purposes. HP EliteBook buyers, for example, will soon be getting their own dedicated tech support person to talk to. Additional security built in: Because lost business laptops are a huge liability and concern for business owners and IT departments, security features that consumer laptops don't get are practically standard here. All of the business laptops I looked at offer at least the option to add a fingerprint reader, and many come with TPM (Trusted Platform Module) Embedded Security chips to encrypt your laptop's data. HP touts its own suite of security tools ("ProtectTools") that promises to wipe your drive remotely, shred files, check credentials on boot-up, and more. More expansion and connectivity options: Want to quickly plug in or unplug your laptop from an external monitor and the many peripherals you own? A business laptop is more likely to have a matching docking station or port replicator, perhaps because business users are more likely to want a setup both at the office and at home, or because they need quick connectivity if they travel often. Matte screens: Finally, consumer laptops tend to come with glossy displays that may show vibrant colors but also are subject to terrible glare. Business laptops generally have antiglare displays or at least antiglare options. These screens are easier on the eyes, easier to view outdoors, and have better viewing angles.